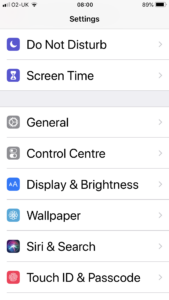 The aim of this post is to explain to sighted people how to set up voice control on Apple iPhones for friends or family who are visually impaired or blind. The two main tools for using your phone with voice are VoiceOver which reads the screen and options and the newer Siri voice commands. I’m writing this article to support my voluntary work for the charity Ability Net UK which involves setting up and troubleshooting software for different devices like computers, smartphones and smart speakers. 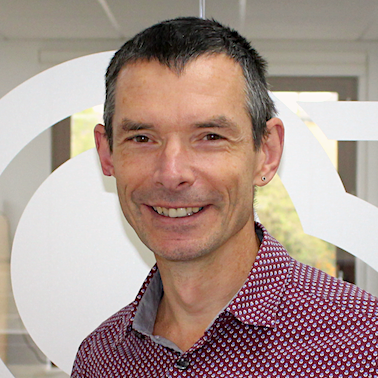 This is to help the many people who need accessibility features set up to use these devices including people who are visually impaired, disabled or older people who need assistive technology, for example, people who have had a stroke. This is a checklist / step-by-step reference for me as I learn about the best techniques myself, but I hope others may find it useful too when setting up voice-activated features for their friends, family or themselves. Views are my own and I’m not representing AbilityNet. These steps are how I prefer to set up, based on experience, but the steps can be varied to suit. A few of the steps are optional depending on the tradeoff between security and ease of use. 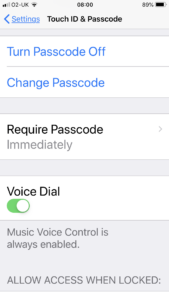 Passcodes are very difficult, if not impossible, for the visually impaired to enter the 4 or 6 digit code, so I recommend not using them, unless it’s important you want to restrict access to confidential information or apps. It’s a decision to be discussed with each user. If they are starting by using the phone for calling only, with Siri, a common scenario, then I think they’re unnecessary. 1. 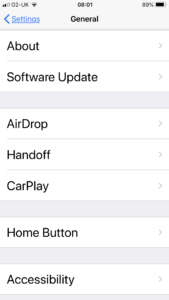 Choose Settings, then TouchID and Passcode. 2. 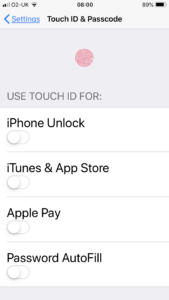 In TouchID & Passcode, Turn Passcode Off. Like with passcodes, these TouchID or Face recognition can be difficult since it can be hard to see whether the security option has been passed or not, so in my view, it’s best to keep the phone open, at least initially. 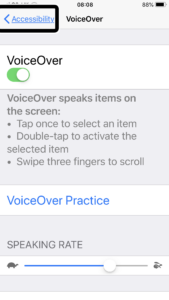 VoiceOver speaks items on the screen as you tap to select or slide your finger between menu options and you then confirm you want to select the option by double tap. Scrolling is achieved through using three fingers. Shortcut – You can turn Speech Off by tapping Three times with three fingers. Here’s an example of using VoiceOver from YouTuber Molly Burke – How I use technology as a blind person! Inspiring whether you’re sighted or not. Note that this is a fairly old clip before Siri was introduced. 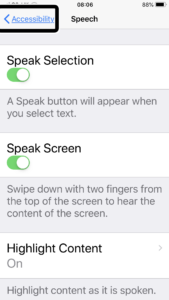 There are also options to speak selection and speak the screen by swiping down with two fingers from the top of the screen. 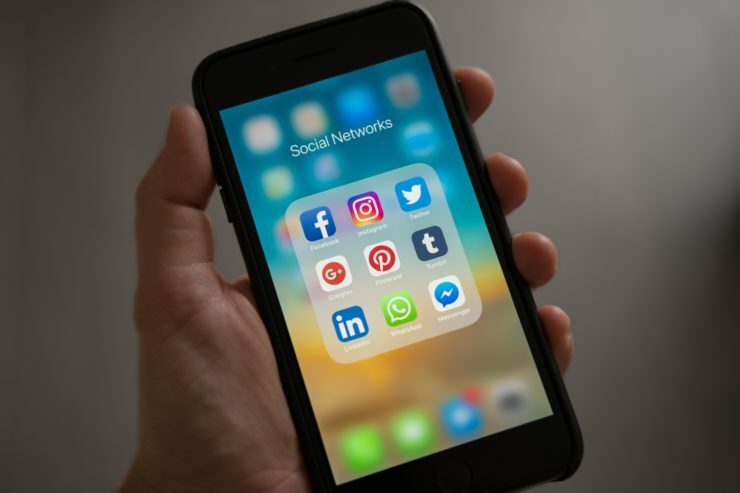 Siri is a fantastic tool for the visually impaired since it enables you to ask the phone to do things for you like calling people on the phone or doing a search. It’s like its cousin Amazon Alexa used in smartspeakers. Make sure you get a sufficiently powerful iPhone as explained below. 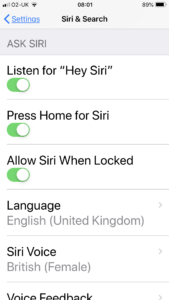 Switch Siri on using the Siri & Search Settings. Is the case causing a problem with the microphone or speaker? The design of many cases will make it difficult for the microphone or speaker to work effectively. Which iPhone version is best? I’ve found that for it to work you do need an iPhone with a sufficiently loud speaker and powerful enough processor. The larger format iPhone 7 Plus and 8 Plus are best for this. It’s arguably also best to have a button to activate, so you can argue that older models with a home button like the 7 and 8 are better than the newer iPhone X models which don’t have buttons. I’ve seen people have to return second hand iPhone 6S because they were not powerful enough in sound or fast enough.